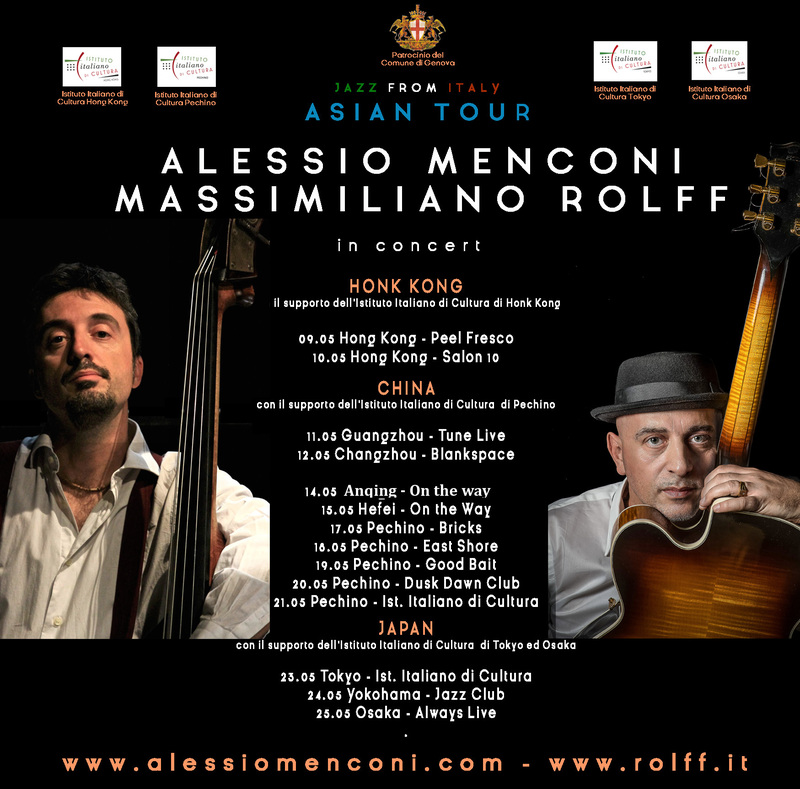 From 9th May and for the next 20 days, Rolff will be on tour, with italian guitarist Alessio Menconi, in some of the best venues in far east. 16 concerts are announced in Hong Kong (2 concerts), Canton, Changzhou, Anqing, Hefei, Beijing (5 concerts), Tokyo (3 concerts), Osaka and Kobe, with the support of Italian Institute of Culture of Hong Kong, Beijing, Tokyo and Osaka and with the support of Genova Municipality. Some, will be duo concerts with the show “Jazz from Italy – Una Canzone per il Jazz”, other concerts will be with standard trio, along with some of the best drummers living in China and Japan today. The last 2 japanese concerts Rolff will be leading a band with great japanese saxophonist Yasuki Sogabe. More details on locations and venues are available on the Facebook page and Instagram.